"We need our educators back in our classrooms helping inspire our students," said Unified School District Superintendent Austin Beutner. 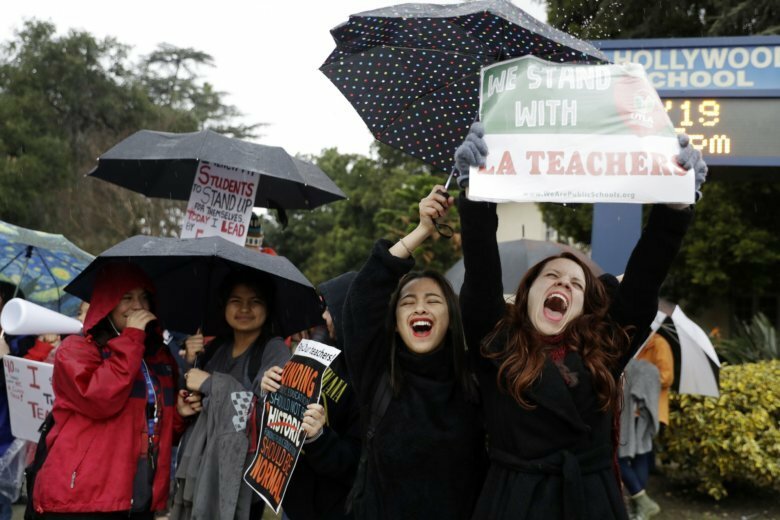 LOS ANGELES (AP) — Teachers and officials in the nation’s second-largest school district agreed Wednesday to resume contract negotiations in the midst of a strike that sent tens of thousands of educators onto the streets. Both sides will resume bargaining at noon Thursday at City Hall, the office of Mayor Eric Garcetti announced. The office said it will “facilitate” the negotiations but didn’t indicate whether any new offers were on the table. “I remain available 24/7, anywhere, any time. Whatever it takes we’ll do it,” Superintendent Austin Beutner said on Twitter. Because state funding is dependent on attendance, the student absences cost the district about $69 million over three days, the district said. At the same time, it doesn’t have to spend millions on teacher pay. Beutner, the superintendent, urged the teachers to join him in pushing for more funding from the state, which provides 90 percent of the district’s money. Los Angeles Unified says teachers’ demands run up against an expected half-billion-dollar deficit this budget year and billions obligated for pension payments and health coverage for retired teachers. “The painful truth is we just don’t have enough money,” Beutner said.